Tips & Advice For Small Business Satrt-Up Owners #infographics ~ Visualistan '+g+"
For most start-up entrepreneurs and small business owners, the short-term goal is to get through the first year with the business still intact. If you can make it that far after riding out a series of financial and psychological challenges, there’s a strong chance that you’ll keep the business going for many more years. The majority of start-ups will survive the first year, but those which fail tend to make a few common errors which result in them going out of business. 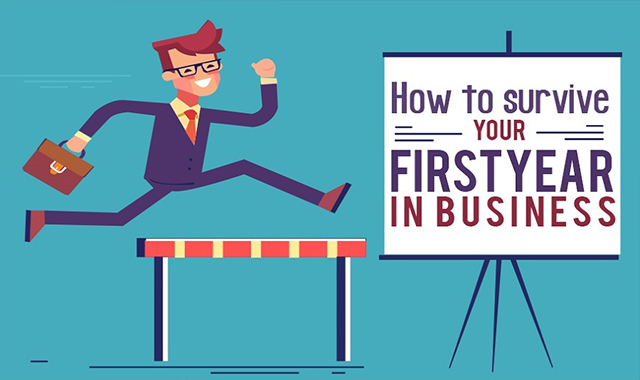 This infographic outlines some advice and tips for small business start-ups on getting through those crucial first 12 months.